The Other Bar is a certified provider of MCLE courses in California. Licensed to practice law in a state other than California? Click here to see if your state accepts MCLE Programs offered by a provider certified by the State Bar of California. Other Bar consultants and members are available to provide Live MCLE Courses. The Other Bar has provided hundreds of these courses over the years for Bar Associations, law firms, and other organizations. An appropriate donation is requested. For more information and to arrange for an MCLE presentation, contact the consultant for your area by email or call your consultant at 1-800-222-0767. Jerry Braun is a founder and senior partner in the San Francisco law firm of Farella Braun & Martel, one of California’s fifty largest firms, and an alcoholic in recovery with fourteen plus years of sobriety. He graduated from Stanford Law School in 1953. He is a Fellow of the American College of Trial Lawyers, a Fellow of the American Academy of Appellate Lawyers, a Past President of the California Academy of Appellate Lawyers and the recipient of the American Inns of Court Professionalism Award, and the Ninth Circuit’s John Frank Award honoring a senior lawyer distinguishing himself for skill, professionalism and excellence in the profession and by devotion and contribution to the Ninth Circuit. Jerry will share his odyssey to and through the ravages of alcoholism and his journey in recovery. If you have already purchased this course click here to purchase and start this MCLE course. Presented by Mick Meagher a long time Other Bar member active in both the practice of law and the field of Chemical Dependency treatment. 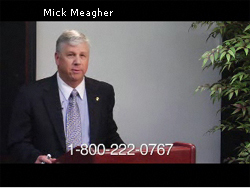 Mick is an attorney practicing in Southern California. His practice focuses on Business Litigation, SLAPP representation, and Consumer Protection Litigation. Prior to entering the legal profession, he spent over 17 years in Chemical Dependency Treatment, Intervention Training, Treatment Facility Management, and Consulting. His book, Beginning of a Miracle: How to intervene with the Addicted or Alcoholic Person is an outstanding work on the subject of Intervention. Discussion on Substance Abuse is a discussion explaining and exposing Substance Abuse as the real life problem experienced in many different forms by so many attorneys.3 Other Bar members Judge George Orndoff, Jim Heiting and Greg Dorst share their true experience, strength and hope to highlight the journey from Chemical dependency to a life in Recovery. The Honorable George Orndoff is a Superior Court Judge in Kings County, California. He was formerly with the Office of the Kings County District Attorney, practiced in Texas, was a deputy District Attorney in Texas, and a Judge in Dallas, Texas. Judge Orndoff also has the distinction of being the first Vice President of the Other Bar. Jim Heiting is a trial attorney and managing partner of Heiting & Irwin, an AV rated Southern California Law Firm. He is former President of the State Bar of California, the Riverside County Bar Association, and the Other Bar. 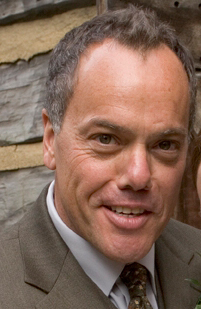 Greg Dorst holds a Juris Doctorate, and is a former prosecutor and defense attorney. He currently works full time in the recovery field. He is a Certified Addiction Specialist, frequent lecturer on chemical dependency and trainer of staff at recovery and treatment facilities. He is also the Southern California Consultant for the Other Bar. Santa Barbara County Superior Court Judge Rogelio Flores began his judicial duties in January 1987 and was elevated to the superior court in 1995. His law career started at the Legal Aid Foundation of Los Angeles from 1979 to 1981. 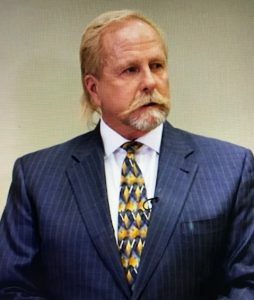 He was in private practice from 1981 until joining the public defenders' office in 1986.Judge Flores is currently assigned to various problem solving courts in Santa Maria, including the Substance Abuse Treatment Court (SATC) (drug court). He is also responsible for the Mental Health Court and calendars specializing in co-occurring disorders. 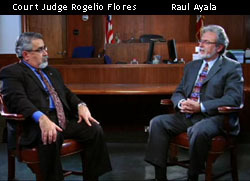 Among his many professional activities, Judge Flores is a facilitator for the National Drug Court Institute and he has been a panelist and guest speaker at the National Association of Drug Court Professionals Conference from 2004-2009, and the California Association of Drug Court Professionals Conference in 2005 and 2007-2009. On September 14, 2006, Judge Flores was a guest lecturer at the Inaugural Therapeutic Courts Conference sponsored by the State of Nevada. He was a panelist at the International Convention of Alcoholics Anonymous (AA) on July 1, 2005, in Toronto, Canada on how AA and the collaborative courts work together.From 2006 to 2009, Judge Flores was invited to lecture at the "Proposition 36-Making It Work!" conferences sponsored by the State of California Department of Alcohol and Drug Programs. He presented a lecture on the subject of building culturally proficient drug and alcohol treatment programs at the National Latino Behavioral Health Institute conference held in Los Angeles. 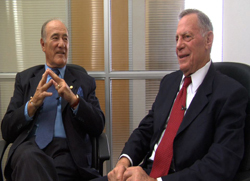 He also appeared on The Oprah Winfrey Show discussing the Collaborative Justice Courts Advisory Committee for the Judicial Council of California. He is the Honorary Chairperson of the National Association of Latino Drug Court Professionals, Mejorar.Raul Ayala is a criminal defense attorney in Southern California. He is a graduate of Hastings and currently acts on the Board of Directors of The Other Bar. Brian Ripley is a native of the San Francisco Bay Area, and has practiced civil law there since 1983 following his matriculation at UC Hastings College of Law. Currently he specializes in Real Estate and Business Law Primarily in Alameda and Contra Costa Counties. He has been in recovery since 1991; both Brian's parents and his two siblings have been in recovery for over 20 years. He has served on the board of directors of the Other Bar since 1983, and as the organization's president from 2005-2007. Outside his legal practice, Brian is involved in a number of non-profit organizations, focusing his charitable activities on recovery in the legal community, music and performing arts education for children, and human rights issues in the GLBTQ community. In his spare time Brian is an avid collector of Mexican folk art.Hailing from Minnesota, Lisa McCally's first career was a special education teacher. She has been a government attorney since graduating Golden Gate University Law School in1992. She is remarkably taking an early and semi retirement to see where the next career moves take her. Lisa served the Other Bar Board as a Director for four years and has many other volunteer commitments including recovery sponsorship, community gardening with school children in her home in West Oakland and fighting for gay civil rights, marriage equality and youth gay-straight alliances in California schools. Eli has a private law practice specializing in criminal and family law. He has served as a mediator in family law matters and as a judge pro tem in small claims, family law, and criminal trials. He has been active in local and regional bar associations, served on the board of governors of West Valley YMCA, former Chairman on the board at the Mid Valley YMCA and Legal Counsel on the board of directors of the Valley College Foundation Trustees.He has been a Rotarian since 1972, serving as District Governor in 1991-92. He enjoys boating, ocean swimming, scuba diving and reading. Eli is married (Alice) and has 3 sons and 5 grandchildren. 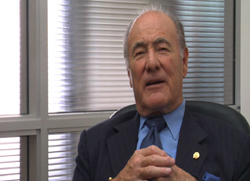 Ted Cohen is a sole practitioner in Los Angeles. He has represented many attorneys before the California Supreme Court and the Supreme Court of the United States. Mr. Cohen was a founding member of the ABA Commission on Impaired Attorneys and is a leading authority in the treatment of Substance Abuse. Mr. Cohen was instrumental in creating the Other Bar, a substance abuse prevention program for attorneys. He has written, published and spoken extensively on substance abuse in the legal profession. Wendy L. Slavkin is a solo practitioner in Los Angeles and has practiced law since 1979. Her practice primarily focuses on all aspects of business and business litigation, representing a wide range of small to mid-sized companies, as well as individuals. She received her Bachelor of Arts degree from UCLA and her law degree from the University of the Pacific, McGeorge School of Law. She is a member of the California Bar and is actively involved in giving back to her community. Ms. Slavkin is a frequent speaker in Southern California on the topic of Substance Abuse in the Legal Profession. If you have already purchased this course click here purchase and start the course. Samuel C. Bellicini is solo practitioner in San Rafael, California. Sam’s primary practice is litigation in the State Bar Court. Sam has made numerous presentations on attorney conduct and professional responsibility issues to a variety of California professional associations. 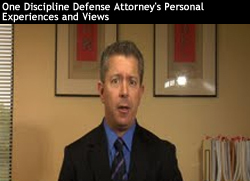 Sam is the 2015 President of the Association of Discipline Defense Counsel (ADDC), and he is a member of Association of Professional Responsibility Lawyers (APRL). You can find Sam on-line at www.Statebaradvice.com. Edward Dilkes has practiced law since 1973, specializing in municipal law and eminent domain. Mr. Dilkes graduated from Occidental College in 1965. He completed a Public Affairs Internship, with the Coro Foundation in 1966, and received a J.D. from USC Law School in 1969.From 1977 to 2004, he served as the City Attorney and/or City Manager, in several different cities in Los Angeles County. An acknowledged authority on the Community Redevelopment Law, Mr. Dilkes also served as Special Counsel to cities and special districts throughout the state.He continues to practice, part time, although the bulk of his time is taken up as the majority shareholder and Chair of the Board of RML Technologies, Inc., a software and technology company with operations throughout the United States.In the early 1990’s, after his children grew up he found himself with too much time on his hands. He decided to fill his time by becoming more active in The Other Bar, a 12 Step based sobriety program directed at lawyers, judges and law students.Mr. Dilkes has maintained his sobriety since January 10, 1983. If I know a lawyer who may have a problem with alcohol or drugs, what can I do to help? 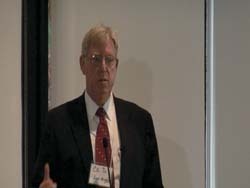 Jim Heiting, Former President of the California State Bar (2005-2006), and Greg Dorst, a former lawyer and Certified Addiction Specialist, share their own experiences as lawyers in recovery, show lawyers how they can help a colleague who may be suffering from chemical dependency and describe the resources available to lawyers for assessment, referral, treatment and support. Presenters: Jim Heiting, Greg Dorst and anonymous supporting role players.